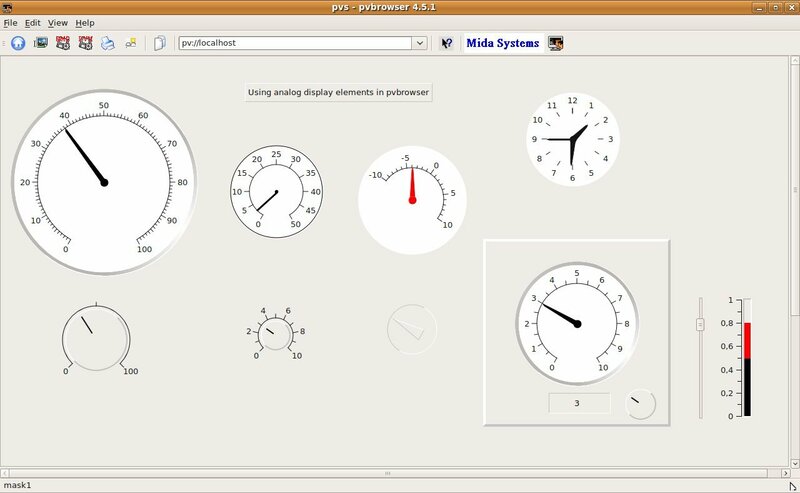 This screenshot illustrates the use of qwtDial, qwtAnalogClock, qwtThermo, qwtKnob, qwtScale and qwtSlider in pvbrowser from version 4.5.1. 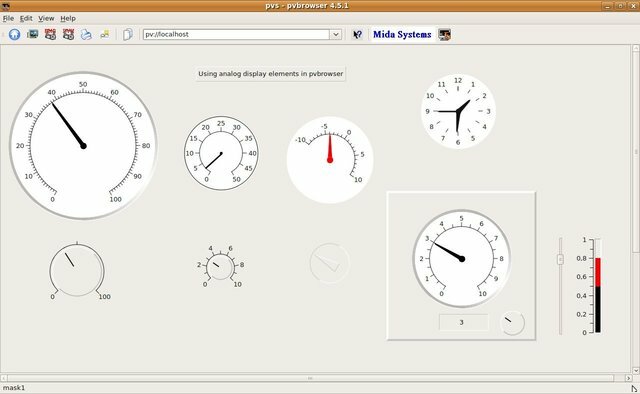 All widgets are available in pvdevelop/(Qt)designer with default properties. Scale limits, appearance etc can be modified within slotInit() to suit your specific needs.